1. 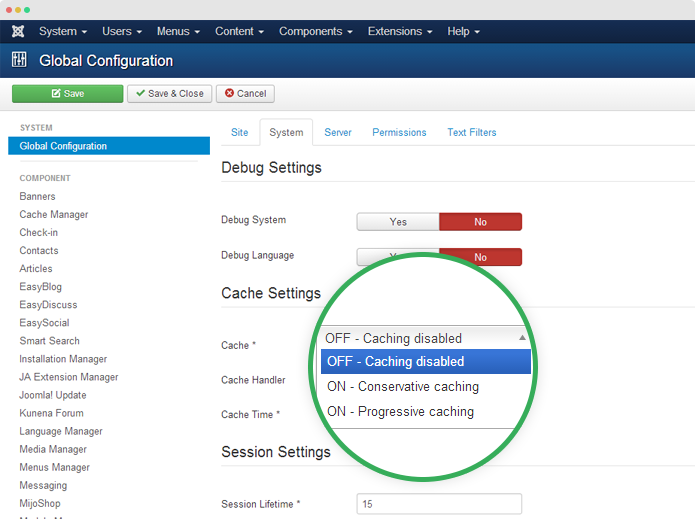 Enable Cache setting in Global configuration. Please navigate to: System → Global Configuration then open the System tab where you can find the Cache Settings, select the Conservative caching or Progressive caching. - Conservative caching - caches the content for each unique visitor. - Progressive caching - delivers the same cached content to all visitors. 2. 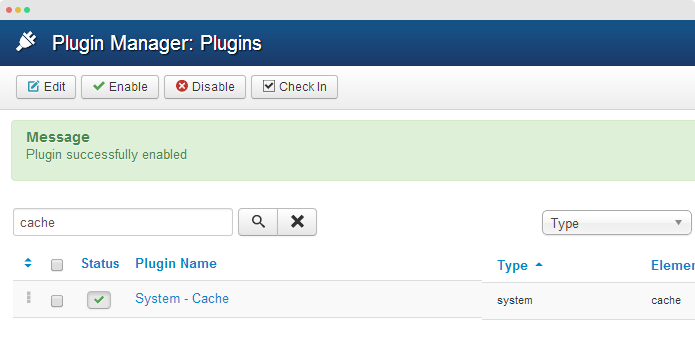 Enable Joomla System Cache Plugin. Please go to: Extensions → Plugin Manager then search for System Cache Plugin, enable it. 3. 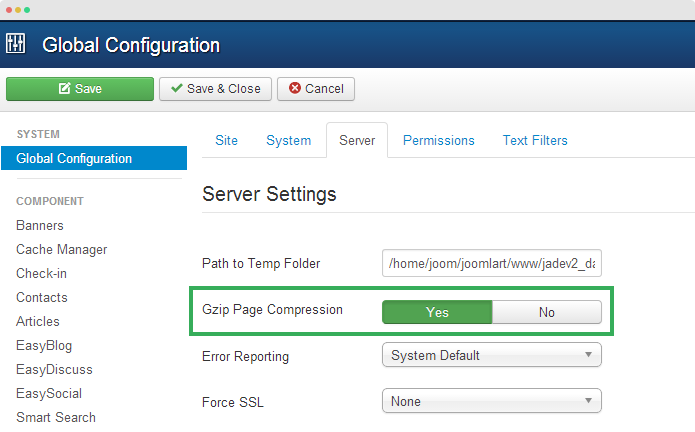 Enable Joomla Compression - Gzip Compression. To enable the option, please go to System → Global configuration → Server → Server Settings, find the option GZIP Page Compression then enable it. In the General setting of the framework, enable CSS and JS Optimization, you can exclude files for optimization then Save the setting, that’s it. 6. 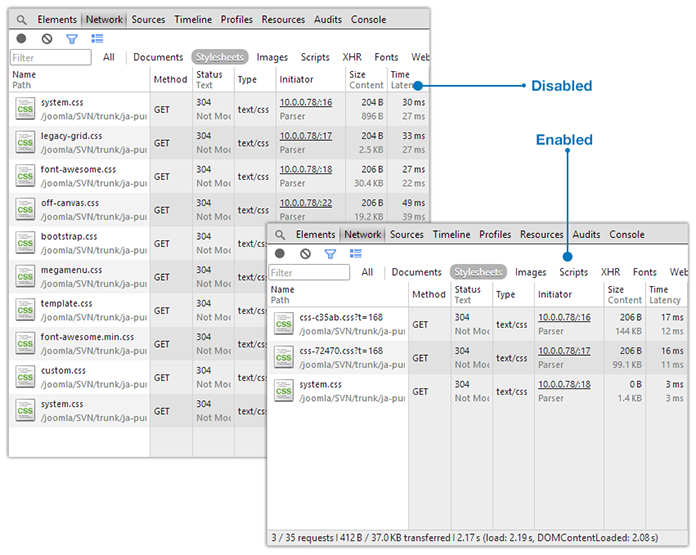 Advanced users: using optimization rules in .htaccess file.